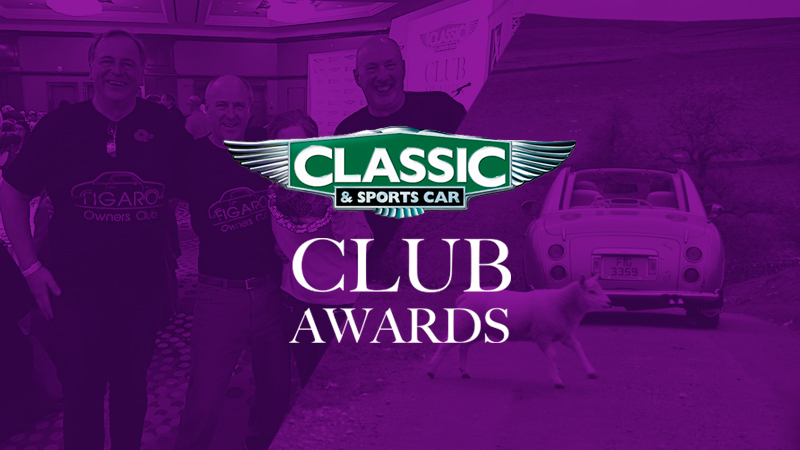 The Figaro Owners’ Club won the Best Club Run/Rally award at the NEC Classic Motor Show on 10th November for its Yorkshire Rally held in June 2017. 120 members and 59 Nissan Figaros took part in the rally through the Yorkshire Dales over four days following a packed itinerary planned Jane Ellison-Bates. The colourful convoy took in sites such as Wharfedale, Nidderdale, Coverdale, Wensleydale, Littondale, Malhamdale, Ribblesdale and the Three Peaks. Such was the success of the event that even the Sunbeam Tigers tour of California was outshone by the Figaro adventure in the Dales. Club Founder Kevin Fagan and event organizer Jane Ellison-Bates pick up the award for Best Club Run/Rally from Ant Anstead. 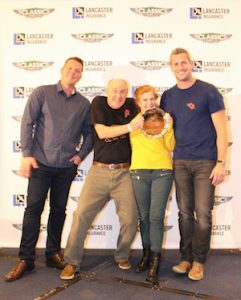 The award was presented by Ant Anstead, star of TV shows Wheeler Dealers and For The Love of Cars, and accepted by event co-ordinator Jane and club founder Kevin Fagan. “Ultimately none of it would have happened without the tireless support of Kevin Fagan and the fun-loving and enthusiastic Figaro friends that come together to make the rallies rather special. The Yorkshire Dales are a perfect backdrop for driving the cars and it was a joy to show off this wonderful landscape”, said Jane on picking up the award.